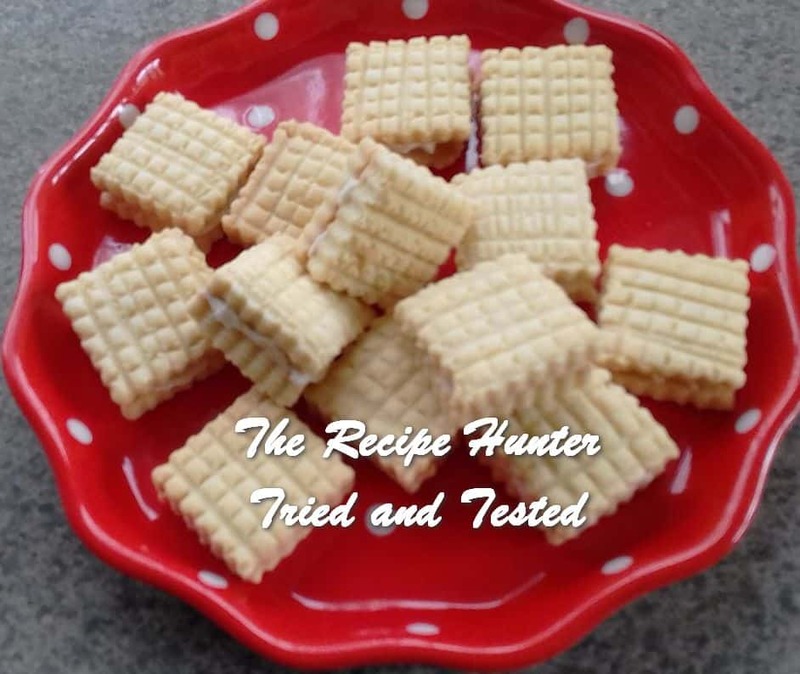 A sandwiched biscuit/cookie recipe originally from South Africa. Cream rama and icing sugar together. Add essence and oil and mix well. Add maizena and then add flour slowly and mix until soft dough is formed. Roll into little balls and press with a fork or roll dough between 2 sheets of plastic and cut into shapes. Bake at 170C for 12 -15 mins. When cold sandwich with icing. It looks really nice. How did u get that shape. Hi Sam – I will check with Veena and keep you posted once I hear back from her. I roll out the dough in between plastic wrap. Then use a fork n make vertical n horizontal lines then use a small cutter.